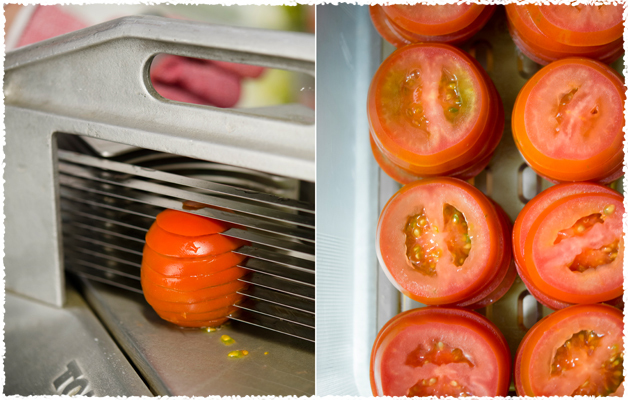 Our tomatoes are full of flavour and freshly sliced for you in our restaurants throughout the day. 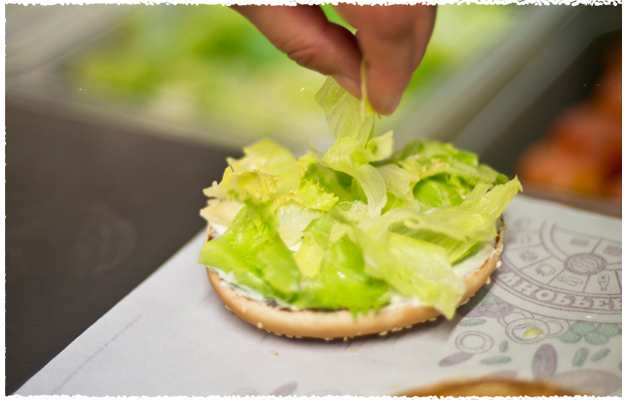 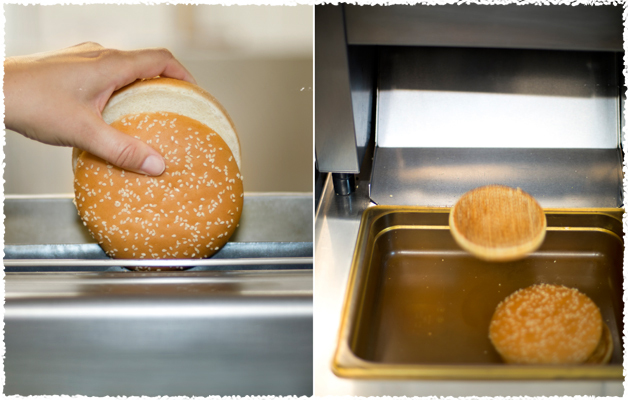 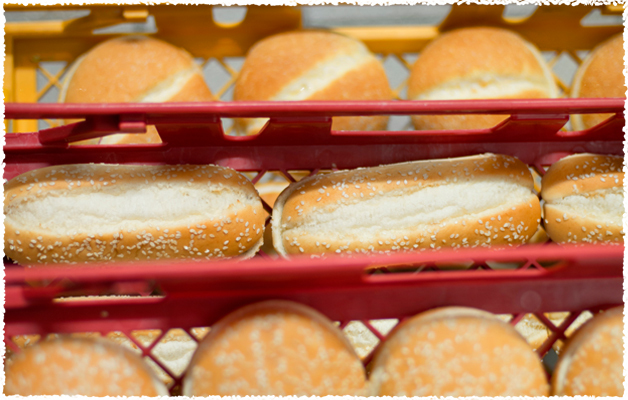 Buns are delivered fresh to our restaurants by our bakeries and we toast them freshly for you. 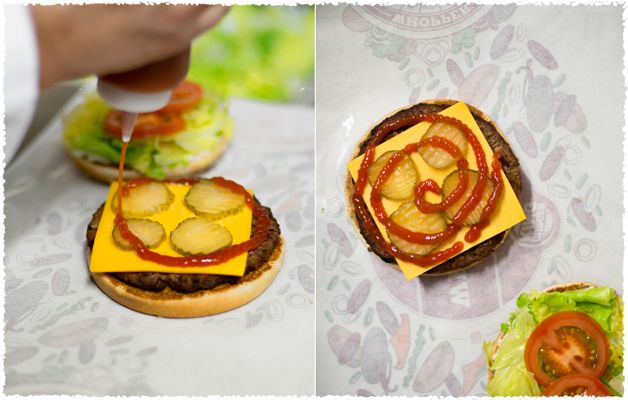 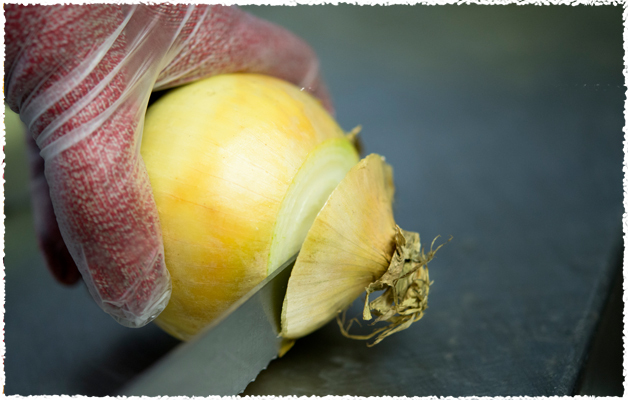 Ketchup is squeezed in a spiral from the outside to the centre before we add fresh onions on top. 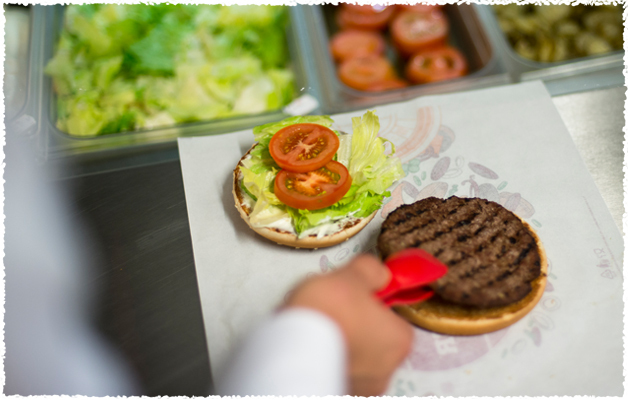 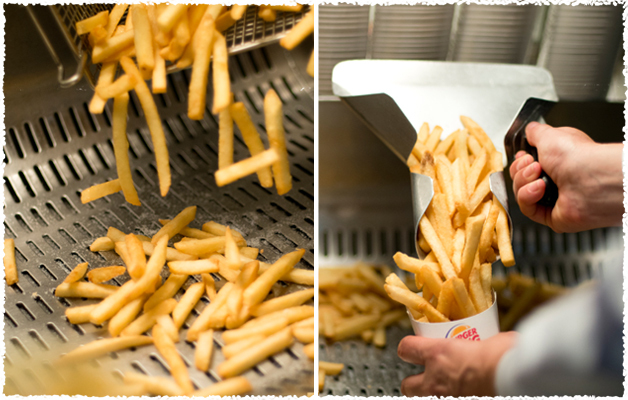 Still as delicious as back then prepared by hand with the best ingredients.